Among the great gifts that St. John Paul II left to the Church, Divine Mercy Sunday may be the greatest. During his canonization homily on April 30, 2000 of St. Maria Faustina Kowalska, the Polish mystic who Our Lord charged with making His Mercy known to the world, the Pope surprised everyone when he declared that the Second Sunday of Easter would from now on throughout the Church, be called ‘Divine Mercy Sunday. 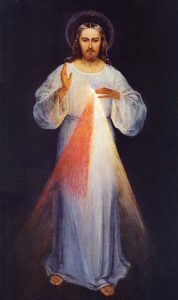 In what became in essence his last will and testament, the Pope told the Church that we are all in desperate need to both understand and accept Divine Mercy. Both are necessary in order to draw God’s mercy down upon us. For most of us, we understand that mercy has something to do with the forgiveness of our sins. In a world in which the only sin is a belief in sin, this can be hard for us to grasp. This is why St. Thomas’ definition of mercy as the “sorrow at the misery of another as though it were his own” is particularly illuminating. Mercy is not just affective, that is feeling sorrow, but it is effective in that it seeks to remove the source of that misery as if it were one’s own. What is sin, other than misery and emptiness? This is the universal experience of everyone who is cut off from God—a feeling of “what’s the point?” But, in the “fullness of time,” when in a certain sense, man’s misery had reached its pinnacle, God sent His only Son into the world to take that misery on as if it were His own. He was “a man of sorrows” who provided the remedy of God’s mercy in His own flesh. This is why there can be no mercy without justice. If the created order is “very good” and sin has violated the order, then God’s love (i.e. 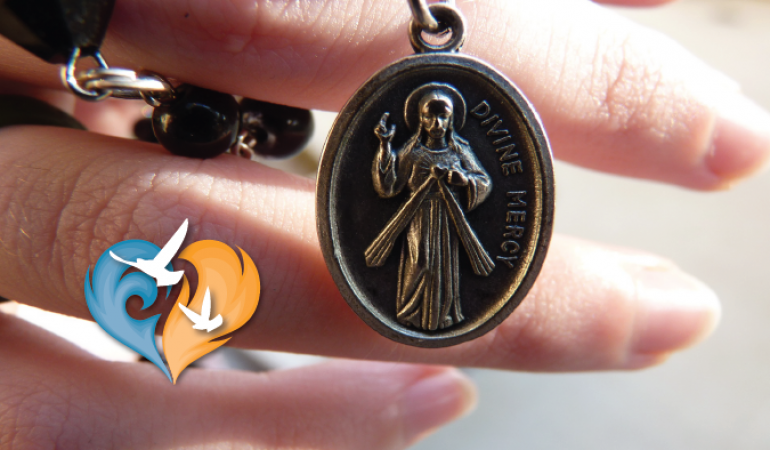 mercy) demands its restoration (justice). In other words, there can be no mercy without an acknowledgment that there is misery. Mercy requires that there be some actual misery to be overcome. a man’s love is caused by the goodness of the one he loves, then that man who loves does so out of justice but when loves causes the goodness in the beloved then it is a love springing from mercy. The love with which God loves us produces goodness in us; hence mercy is presented here as the root of the divine love. It is God’s love that is the cause of goodness in us. God loved the idea of you and me so much that He created us. It is mercy that causes my existence. Not only did He want you and me to exist, but He wants to bring us into His abundant life eternally. That too is mercy. He fills us with this life in the Sacraments. They too are instruments of His mercy. Everywhere we look—mercy! His mercy is even found in our sufferings. Among all the ways in which we can be perfected, all the ways in which He increases the goodness in us, He has hand-picked particular trials for us to undergo. He has chosen this one instead of that one because it is the gentlest way for us to be perfected. Even our sufferings are signs of His mercy! 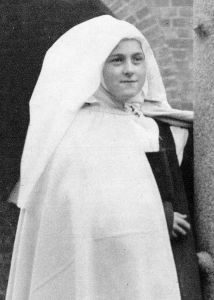 This is what makes St. Therese’s Little Way so compelling for many of us. It is a simple expression of a trust in God’s mercy. She anticipated John Paul II’s prescription—in understanding God’s mercy, she was able to accept it as the transforming force of her life. By offering herself as a weak victim to divine love (i.e. mercy) she is recognizing that God will choose the gentlest way to perfect us. This was not an avoidance of suffering, but an acknowledgment that God’s mercy helps us to see that no suffering is ever wasted. Mercy is a recognition that “Every good thing given and every perfect gift is from above, coming down from the Father of lights” (James 1:17). Now it becomes clear why Pope St. John Paul II dedicated so much of his life’s work to spreading the message of Divine Mercy and why we should celebrate the Feast of Divine Mercy Sunday with great joy. When we understand mercy, that is, see how active it is in our life, we come to accept it more and more. Jesus, I trust in You! Rob holds an MA in Theology from Holy Apostles College and Seminary with a concentration in moral theology. He has a passion for spreading the joy of the Catholic Faith through teaching. He lives in Raleigh, NC with his wife, Allison, and their three sons. Rob supports his apostolate by working as a Statistician and teaches bioethics throughout the Diocese of Raleigh. He is part of a speakers’ panel in which he addresses issues related to marriage, fatherhood, and moral theology. He has published articles in a number of Catholic publications including The Homiletic and Pastoral Review, The New Oxford Review, the National Catholic Bioethics Center’s Ethics and Medics, and First Things’ On the Square.